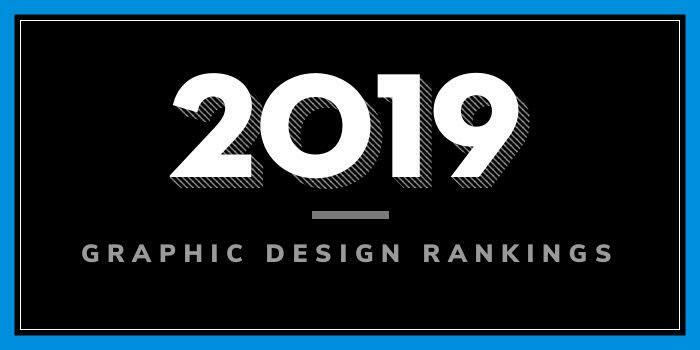 Our 2019 rankings of the top 5 graphic design school programs in Oregon. For an explanation of the ranking criteria, click here. Pacific Northwest College of Art (PNCA) was founded in 1909. This fine arts and design college offers eleven BFA degrees, seven graduate degrees including MFA and MA degrees, a Minor, a Post-Baccalaureate, and a variety of Community Education programs for adults and youth. Around 550 students from 42 states and 10 countries are enrolled in 21 areas of study from Animated Arts and Graphic Design to Video and Sound. Per the school, the curriculum for the Graphic Design Program (Communication Design) “ranges from the micro to the macro, craft and concept, and combines the hand crafted with the digital to help you grow your unique vision.” Students will find that they “have plenty of options to tailor” their experience. Sample courses for the program include Exploring Visual Culture, Fundamentals of Interactive Media, Marketing and Branding, Motion Graphics, 3D Design, Time Arts, Typography I & II, Visual Elements Digital Tools, and Visual Elements 2D. Students will also take a number of design studio courses throughout the program and during their senior year, they will take advanced studio courses such as Design Arts Advanced Studio: Strategy, Design Arts Advanced Studio: Vision, Design Arts Thesis Development, Research for a Creative Practice, and Design Arts Thesis. Other program highlights include small class sizes, mentorship programs, professional practices instruction, portfolio preparation and internship opportunities. Founded in 1885, George Fox University serves more than 4,000 students enrolled in more than 40 majors, 45 minors, and six pre-professional programs through six colleges. The College of Arts, Humanities and Social Sciences houses the Department of Art, which offers a BA in Graphic Design. Program highlights include dedicated professors, small classes, real-world learning opportunities, placed internships and client projects, a family-oriented community, and peer engagement throughout the program. Real-world opportunities students have participated in include the Mural Project, Glass Project, Tiny Home Village, Community Art & Design Workshop, and George App. Students have interned at companies such as DNA, Phat Graphics, Red Hills Market, Big Fir Designs, and Chemeketa Community College. Graduates of the George Fox BA in Graphic Design Program have been hired by the Disney, Nike, the NFL, Nordstrom, Bank of America, Anthropologie, Code Monkeys Web & Game Design, Harvest House Publishing, Landor & Associates, and many others. Founded in 1856, Western Oregon University (WOU) serves nearly 5,400 students enrolled in more than 100 programs through dozens of departments. The Art Department offers a BA in Art & Design with a Graphic Design Track. This flexible major is part of the Visual Communication Design (VCD) Program and allows students to mix disciplines in visual art to support their individual needs and goals. Sample courses for the program include Beginning Design: 2D and 3D, Graphic Design, Interactive Media, Introduction to Typography, Photo and Digital Images, Print Design, and Video & Animation. Students may also choose from a wide range of general education and elective courses. Recommendations include Business Marketing, Communication Studies (topics: Mass Communication, Media, Public Relations, Advertising), Computer Science, Creative Arts (topics: Theater Production, Fashion, Music/Sound), Entrepreneurship, and Film Studies.